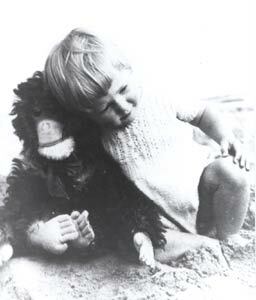 When she was just over a year old, Jane’s father bought her a beautiful, life-like chimpanzee stuffed animal named Jubilee in honor of a baby chimpanzee born at the London Zoo. Friends warned her parents that such a gift would cause nightmares for a young child. But Jane loved the toy, and to this day Jubilee sits on a chair in her home in England.